This Irish chains and clovers quilt pattern is truly Kismet as your next quilting project. 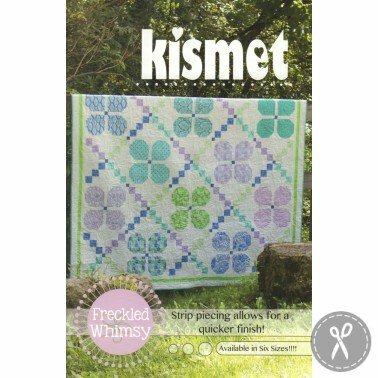 Freckled Whimsy designed quilt pattern. Quilt pattern comes with many sizes to choose from and has all straight seams. Finished Size: Baby 50" x 50", Lap 64" x 64", Giant Lap 78" x 78", Twin 64" x 92", Queen 93" x 106", King 106" x 106"